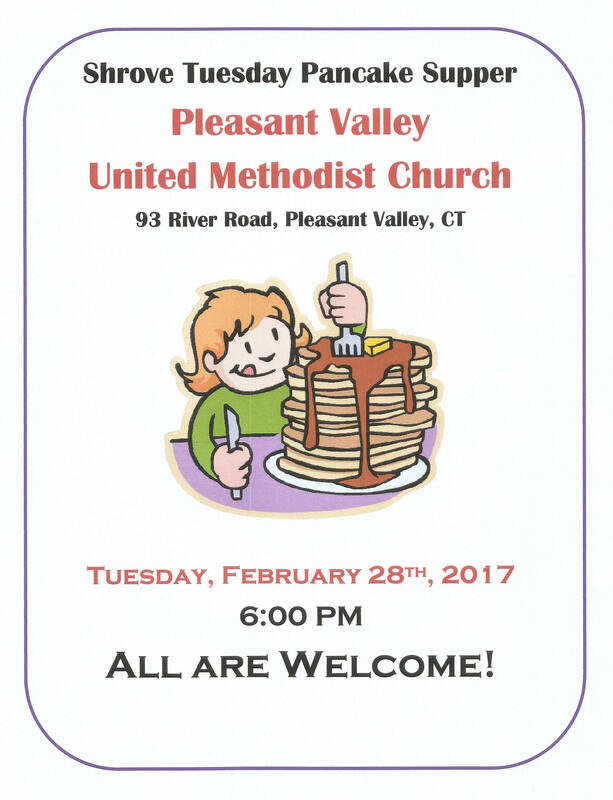 Shrove Tuesday Pancake Supper-February 28th! Ash Wednesday Service March 1st. Please come join us for the annual Shrove Tuesday Pancake Supper, hosted by the men of the church. This year it will be held on Tuesday, February 28th beginning at 6 pm. Everyone is invited to enjoy a hearty meal of various types of pancakes, sausage, and real maple syrup! A free-will donation jar will be available should you wish to contribute to the ministries of our church. On the following day, March 1st, an Ash Wednesday worship service will take place in the Sanctuary at 7pm. Everyone is welcome to join us as we begin the Lenten journey.